Radio edit of Paul McCartney and his post-Beatles band Wings classic 'Nineteen Hundred And Eighty Five’. Remixed by Timo Maas and James Teej. Secret RSD release. Limited to 100 copies worldwide, exclusively released through Phonica records. From Phonica records blog (http://www.phonicarecords.com/web-blog/official/1): "A few weeks ago, a mysterious 12" showed up on our doorstep with an even more mysterious edit of Wings' 'Nineteen Hundred Eighty Five' on it. The record sold out within the hour and was flippin' for over £280 on Discogs and Ebay. 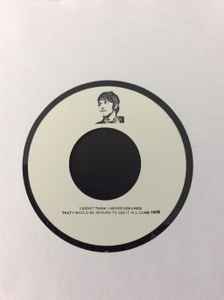 Now it's back again in the form of a VERY LIMITED 7'' (worldwide exclusive for Phonica Records [100 copies])... The artist behind this edit is revealed on the B side... BE QUICK!"